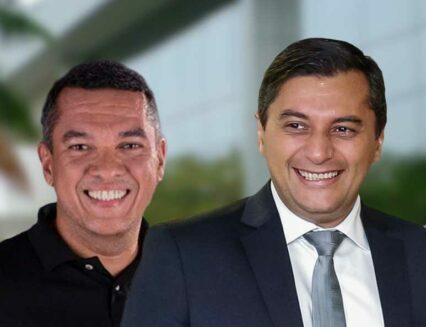 O Prefeito em exercício, Marcos Rotta, recebeu nesta quinta-feira,16/03, um grupo de empresários da praça do Eldorado, zona Centro Sul para estudar melhores condições de uso do espaço e convívio, e de estímulo ao comércio local. 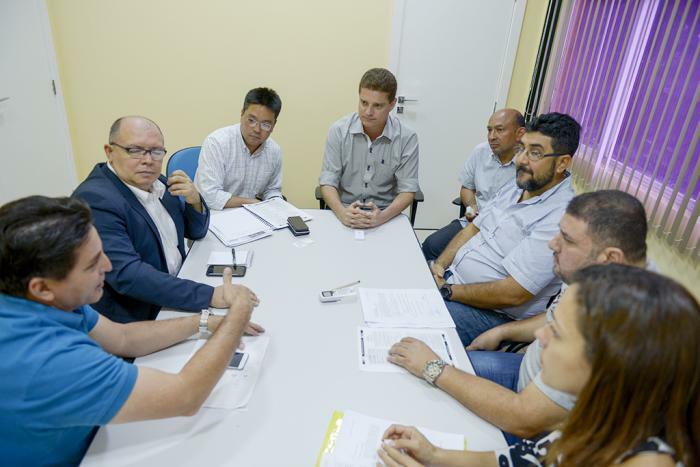 A reunião, realizada na sede da prefeitura, foi intermediada pelo diretor-presidente do Instituto Municipal de Planejamento Urbano (Implurb), Cláudio Guenka. Segundo Guenka, os empresários passam por um período de dificuldades, por conta da crise econômica que diminuiu a freguesia da praça do Eldorado. “Eles (empresários) têm construído um convívio positivo com a comunidade do entorno e a prefeitura tem interesse de estimular essa harmonia, com o uso adequado da praça”, destacou Guenka. “Estamos aqui para ajudar e fomentar o comércio e a geração de empregos, então esse tipo de encontro é muito positivo para o desenvolvimento da cidade”, completou. Entre as pautas apresentadas pelos empresários, está a revisão das taxas pagas ao Município para uso da praça. “Queremos que, nesse período de baixo movimento de clientes, a prefeitura nos dê um desconto no pagamento dessas taxas, para que possamos manter nossos negócios funcionando”, explicou Edson Neto, tesoureiro da Associação Comercial do Eldorado. Ainda segundo a entidade comercial, foi estabelecido um diálogo com a Associação de Moradores do Eldorado para resolver questões pontuais a vida noturna da praça. Como solução, um calendário de eventos foi criado para humanizar, ainda mais, o ambiente, com gastronomia e outras atividades de lazer em família.O prefeito em exercício recebeu as demandas dos empresários e vai submetê-las a avaliações técnicas. naturally like your web site however you need to check the spelling on quite a few of your posts. Many of them are rife with spelling problems and I in finding it very troublesome to tell the truth however I will surely come again again. It is really a nice and useful piece of information. I’m glad that you shared this useful information with us. Please keep us up to date like this. Thank you for sharing. If you happen to be still upon the fence: get your favourite earphones, thoughts down towards a Easiest Acquire and talk to to plug them into a Zune then an iPod and look at which a person seems greater in direction of by yourself, and which interface would make by yourself smile even more. Then you can realize which is instantly for by yourself. Along with almost everything which appears to be developing inside this particular area, all your viewpoints are somewhat refreshing. On the other hand, I beg your pardon, because I do not give credence to your whole idea, all be it radical none the less. It appears to everyone that your comments are not totally justified and in reality you are your self not totally convinced of your assertion. In any case I did enjoy examining it. My developer is trying to persuade me to move to .net from PHP. I have always disliked the idea because of the costs. But he’s tryiong none the less. I’ve been using WordPress on several websites for about a year and am concerned about switching to another platform. I have heard fantastic things about blogengine.net. Is there a way I can import all my wordpress content into it? Any help would be really appreciated! Thanks for the strategies presented. One thing I additionally believe is the fact that credit cards supplying a 0 rate often attract consumers together with zero interest rate, instant endorsement and easy on the net balance transfers, but beware of the real factor that can void the 0 easy streets annual percentage rate as well as throw one out into the poor house rapid. Thanks for every other excellent post. The place else could anybody get that kind of info in such an ideal method of writing? I’ve a presentation subsequent week, and I am on the search for such info. I have been exploring for a little bit for any high-quality articles or blog posts on this sort of area . Exploring in Yahoo I at last stumbled upon this site. Reading this info So i’m happy to convey that I have an incredibly good uncanny feeling I discovered exactly what I needed. I most certainly will make certain to do not forget this website and give it a glance on a constant basis. Excellent goods from you, man. I have understand your stuff previous to and you are just too wonderful. I actually like what you’ve acquired here, certainly like what you’re stating and the way in which you say it. You make it entertaining and you still take care of to keep it sensible. I can’t wait to read far more from you. This is actually a terrific website. I got what you intend, appreciate it for posting .Woh I am pleased to find this website through google. “I would rather be a coward than brave because people hurt you when you are brave.” by E. M. Forster.